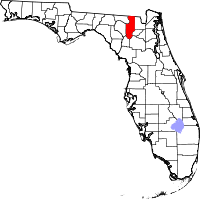 Columbia County is a county in the U.S. state of Florida. It was formed on February 4, 1832. As of 2000, 56,513 people lived there. Columbia County's seat is Lake City. This page was last changed on 15 June 2018, at 11:22.